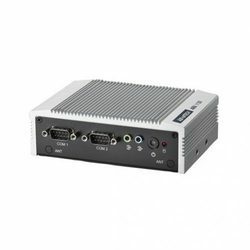 With an immense experience and a competent team of professionals, we are able to deliver FanlessBox Computer which are compact, nosieless and powerfull.The offered range is known for rendering system-ready platforms for all industrial application with processors ranging from Intel Atom to Intel Core i3/i5/i7. 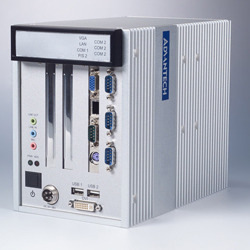 This group products looks handy and small but are rich in I/O ports such as Serial ports (RS 232/ 422/485), USB ports - USB 2.0 & USB 3.0, CAN BUS ports and 8 bit digital I/O ports. Multiple display ports - VGA, DVI, HDMI and DP. For communication WIFI, Bluetooh, 3G and 4G and GPS. The offered range of rigid & fan-less computers which is low maintenance, no noise and is ideal for intensive applications. Low power requirement. These products can be DIN rail mounted in racks, Wall mounted or can be table mounted. Sutiable for all industrial applications.